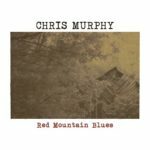 “Red Mountain Blues” is the sound of a bunch fabulously gifted ensemble musicians playing across a wide variety of styles in the Americana canon from bluegrass to modern Nashville country, led by Chris Murphy’s fiddle virtuosity. Chris moves seamlessly from traditional-style string band instrumentals to the menacing gangster voodoo of “Chickasaw Freedman” where the only backing is his fiddle and a stompbox. Chris has a knack of writing original tunes, particularly instrumentals, that evoke memories and hint at earlier classics. It may only be a chord progression and a few similarities in the melody, but the album’s closing instrumental, “The Lord will Provide“, has a feel of the Leadbelly classic “Goodnight Irene”, while the mournful, elegaic “Walt Whitman” evokes the era of cowboy country and demonstrates the perfect ensemble playing of the band; when they play together, whether it’s unison or homophony, the players are completely together for every note and shift of emphasis. It’s a beautiful thing to hear when it’s done well like this. The traditional string band numbers cover a wide range from the emotive and controlled slow pieces above to the frenetic energy of “Cast Iron” and the jazzy tinges of “Buckwheat Pancakes” as the players weave in and out of the texture, playing duets and taking solos in turn, making the incredibly accomplished playing sound like the most natural thing in the world. When you move away from the instrumentals, you’ll still plenty of variety; “”Dirt Time“, and “Dig for One Day More” are traditional tales of working men, while “Black Roller” evokes Steinbeck’s dustbowl-era classic “Grapes of Wrath”. “Kitchen Girl” is a bittersweet story of unrequited adolescent love, while “Meet me Tonight” is good-time honky-tonk and “Dry County” is a piece of road fun with some beautiful, keening Appalachian harmonies. The playing is superb, yet uncluttered throughout and the huge variety of styles, helped by the track sequencing, means that there’s something different around every corner. This album is proof, if you needed it, that good songs and great playing transcend genres. “Red Mountain Blues” is released on Friday November 11th on Teahouse Records.